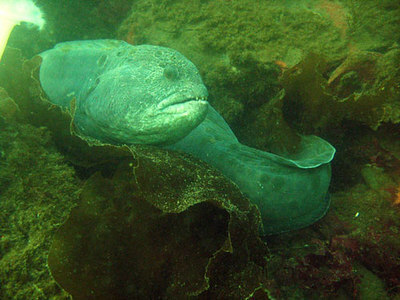 Another Wolf Eel in only 20 feet of water, resting out in the open. If you see these critters during this low oxygen event, please do NOT disturb them or attempt to play with them. They are struggling to survive, and provoking them to move is using up precious energy and oxygen.